The high performance team at McKee recognizes that the loading dock leveler is critical to the efficiency of your shipping & receiving operations. McKee will help you to ensure that all your dock levelers and other equipment are designed to support the capacities and number of loads per day required by your operation. Your loading dock needs to be safe and efficient, with quality equipment. At McKee, our experts will help you plan, select, install and maintain everything you need—regardless of the size of your facility. Your loading dock crew works hard, but that doesn’t mean a mechanical dock leveler has to be labor intensive. Serco W Series mechanical dock levelers have set the industry standard for mechanical leveler durability, dependability and operator safety. With the W Series mechanical dock leveler, you’ll get standard Serco features like a CLEAN FRAME® design for easy removal of trash and debris in the leveler pit and SafeTFrame® design for structural support, plus premium features including a single point adjustment extension spring counterbalance, the POSI-TRAC unlimited float hold-down and the exclusive HYDRA CAM lip control to decrease walk-down force and improve lip extension. 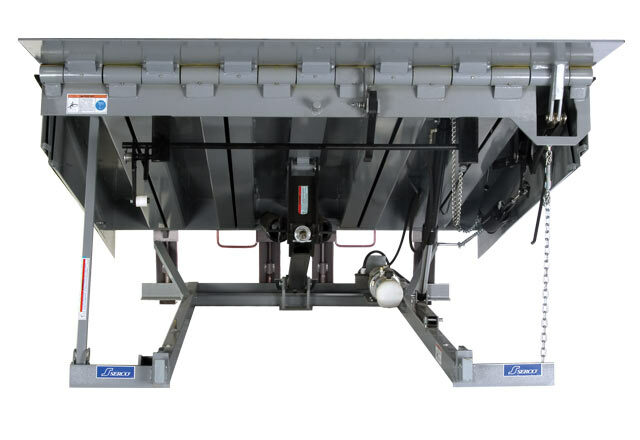 The total result is a dock leveler that’s easier to operate and provides an overall lower lifetime cost of ownership than conventional mechanical dock levelers. If your loading dock relies on a sturdy dock leveler that requires minimal maintenance, an air-powered loading dock leveler is the proven choice. Using the same advanced air-powered technology as heavy lifting industries such as mining, building and construction, the Serco AB Series air-powered dock leveler is rugged enough to provide operational efficiency without all the backbreaking efforts required from more manual dock levelers. It includes all the Serco standard features, along with the durability of a rugged, reinforced coated polyester fiber air bag that can withstand anything from chemical spills to extreme weather conditions and even minor punctures. And with no springs and no-hold-down, you won’t have to worry about costly replacements or repairs down the road, lowering maintenance and service costs for years of trouble-free operation. 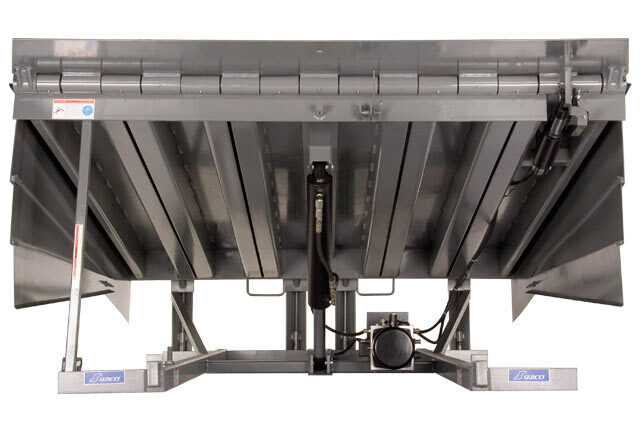 Today’s fast-moving loading dock environment requires a dock leveler that’s both reliable and flexible enough to keep up. That’s where the Serco PAL series power-assisted dock leveler comes in. 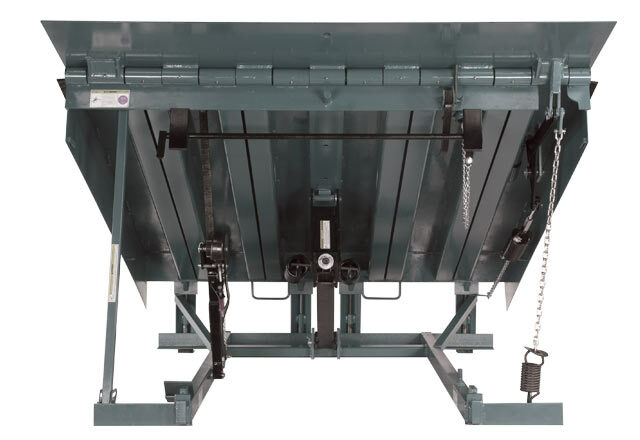 This rugged loading dock leveler combines the durability of a mechanical dock leveler and the high performance of hydraulic operation, while remaining functional even in the event of a power loss through a manual override device. It’s the perfect blend of power, performance and peace of mind. See Hydraulic Dock Leveler products here. Take control of your warehouse with a vertical storing dock leveler, ideal for climate-controlled facilities. 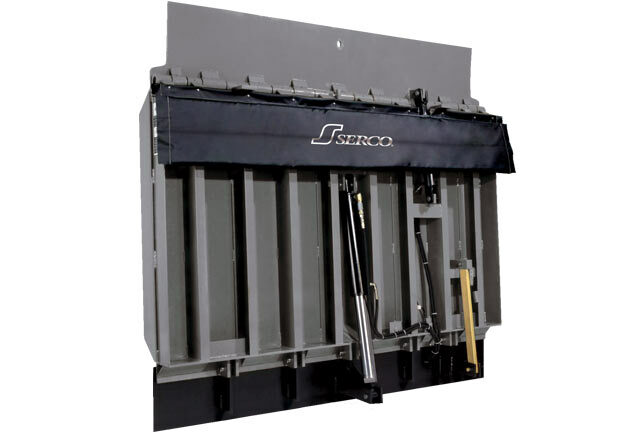 Used by some of the world’s largest companies, Serco vertical dock levelers provide complete control over environment, safety, cleanliness and security, making them perfect for industries that store food, beverages, pharmaceuticals and other products that require careful monitoring of temperature changes. Vertical-storing dock levelers can be configured with an optional Thermal Guard Package to allow trailer doors to swing open into the building after the trailer has been docked, ensuring products like food, beverages and pharmaceuticals remain safe, while lowering energy bill costs and increasing productivity. 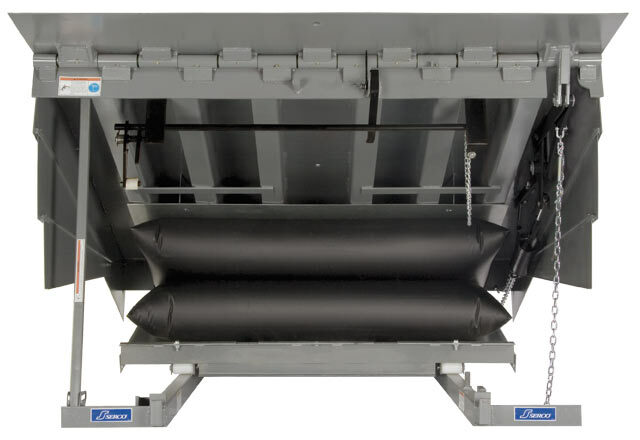 See Vertical Storing Dock Leveler products here. 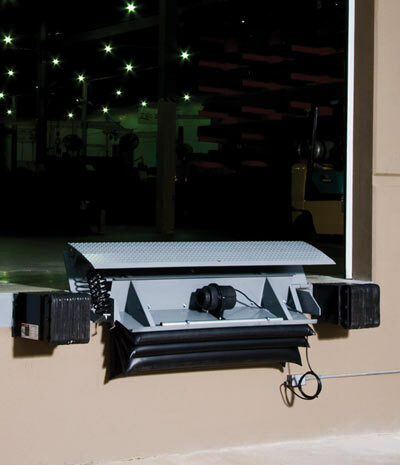 ENERGY GUARD® is the most effective way to prevent energy loss at your loading dock, as well as block dirt, debris and pests from getting inside. The superior perimeter dock leveler seal closes off any gaps between the dock leveler and concrete pit walls that are typically missed by traditional sealing options, preventing air from seeping in or out while protecting your loading dock. And because no fabric is exposed to the face of the loading dock wall (where trailers and debris could easily cause damage), ENERGY GUARD has proven long-term durability. Even further, there’s no scheduled maintenance needed. When you need improved cleanliness and energy efficiency, ENERGY GUARD is the dock leveler weather seal to choose. Serco edge-of dock levelers are an effective, affordable alternative to portable plates. This loading dock leveler mounts to the face of the dock to make loading and unloading trailers easier, and is ideal for medium traffic loading docks. With a simple, push-button style, you’ll get the reliable durability you’re seeking, with improved performance that doesn’t break your budget. 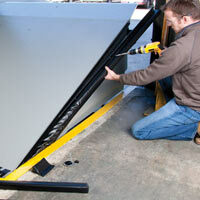 EZ-Hang™ installation tabs to simplify installation and ensure proper alignment. See Edge-of-Dock Leveler products here. Prevent accidental roll-off with the assistance of a Serco Dock-Guard Barrier Lip, capable of withstanding impact from a 15,000 lbs. load moving at 5 mph. This super durable barrier lip is stronger than conventional dock leveler lips and requires no additional maintenance. Its solid construction makes it one of the longest lasting lip designs in the industry providing full-time safety and dependability. In a below loading dock application, the safety barrier lip prevents a forklift’s front wheels from accidentally rolling off the leveler.